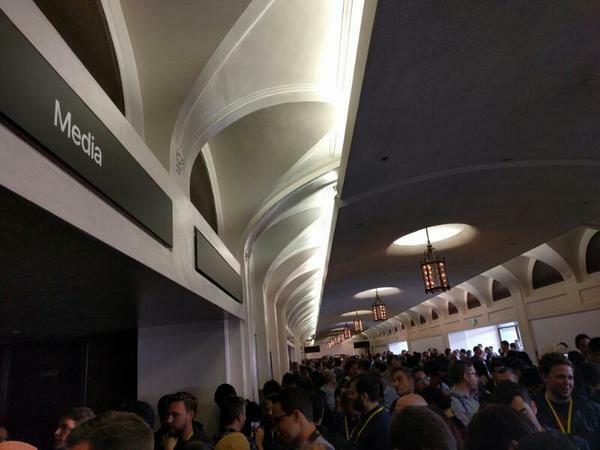 Apple is expected to show off new iPhones, an updated smartwatch — and maybe some new gear for listening to both — during its annual fall product launch event today. Do you think they will include a 3.5mm to Lighting Adapter? Or do you think they will make us buy it seperate? My iPhone 6 is over 2 years old so AT&T will allow me to upgrade. Obvious choice will be a 7! I can tell that the piano black iPhone is going to be a fingerprint and smudge magnet. 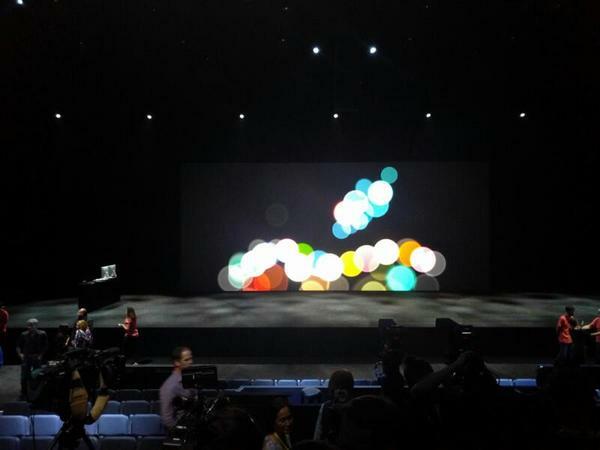 Which color iPhone do you guys think will sell the most? Can't wait to try out the wheelchair health on the watchOS 3. I'm ready for Apple Watch 2. Will be going with the bigger size this time around. Chillin' here working on my iPad Pro, wearing Apple Watch, listening to AppleByte Extra Crunchy on my iMac, and charging my already-depleted iPhone 6 (at 9:20 am!). I voted for AirPods but I'll probably get whatever Apple puts out. Hoping for a new SE for my wife, maybe nice Beats to replace my aging Bose. Also hoping for a "one more thing" re AR/VR. Now they're singing to One Republic. 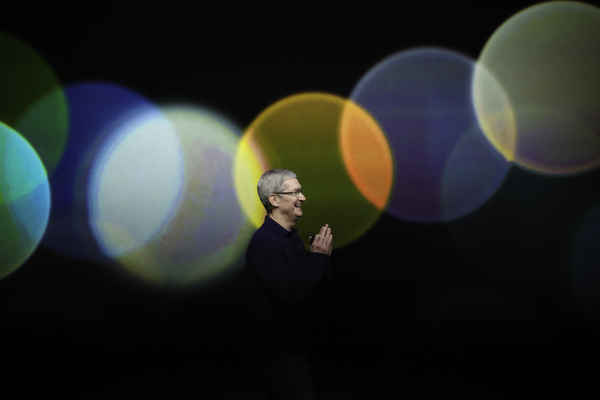 Apple had them perform at a recent event because it's Tim Cook's favorite band. 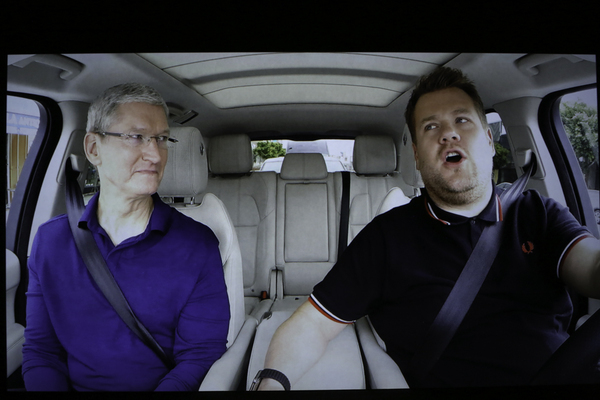 James Corden recommends Tim Cook wears a suit made entirely of Apples. 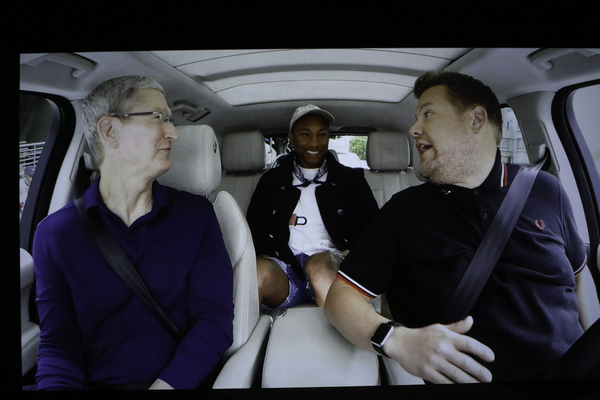 Apple bought Carpool Karaoke, remember. 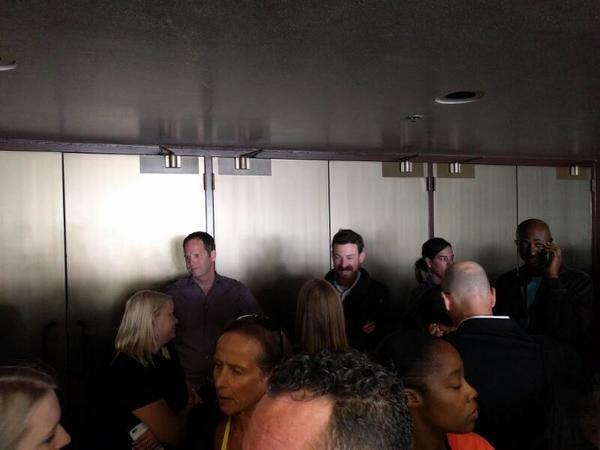 If he walks out with a suit of apples, I'm going to die. 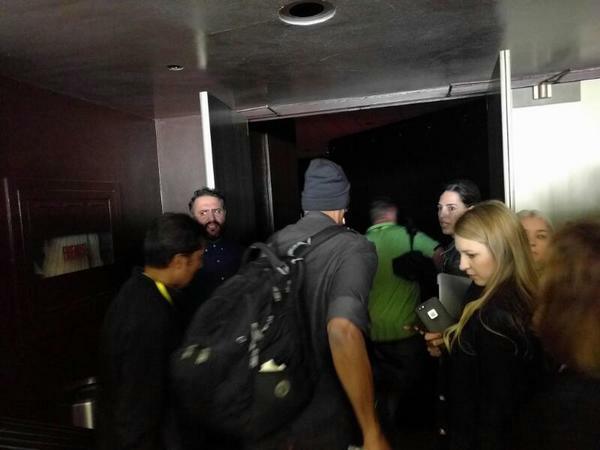 Now Pharrell is in the car too. Please, please, please don't play the song "Happy." Whew. 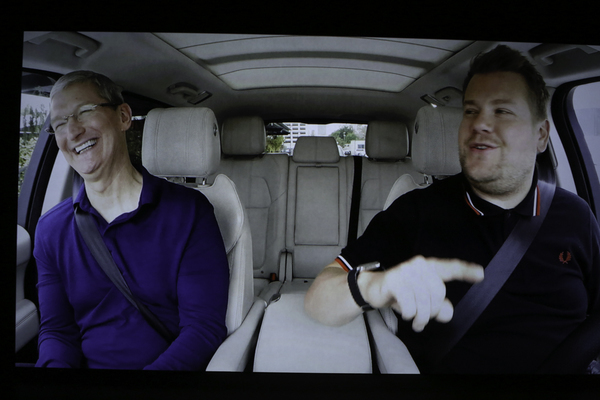 Song now is "Sweet Home Alabama"
And here's Tim Cook, carrying the funny glasses James Corden gave him. 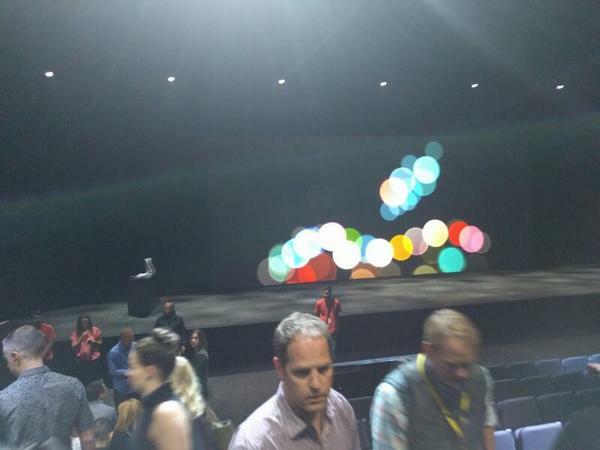 So, now Tim Cook is onstage. "Welcome to San Francisco. I'm so glad James got me here on time." 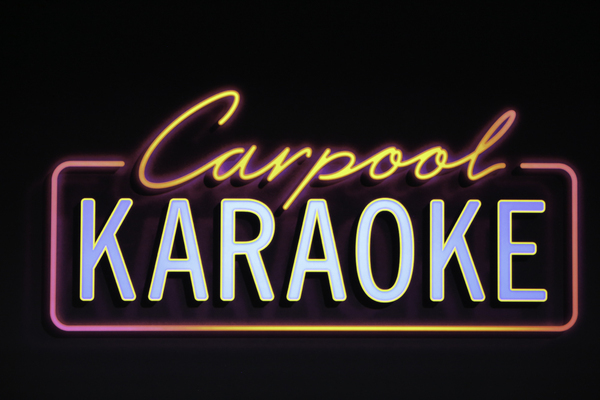 "As you may know, we're working with Carpool Karaoke on some new episodes that will be premiering on Apple Music early next year." "We've got some great things to share with you this morning. 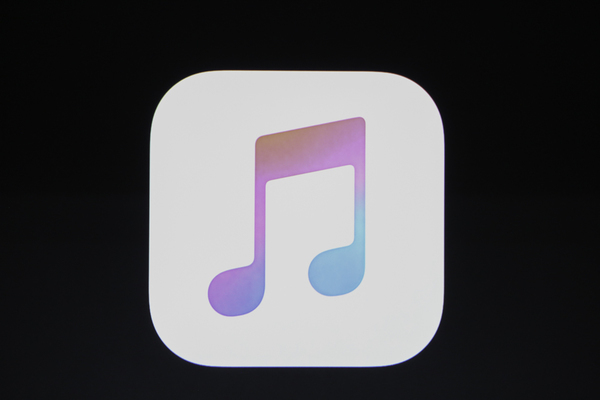 I'd like to get started with a few updates, beginning with Apple Music." "As you know we've always had a deep love for music. ... It's such a key part of our product experience." 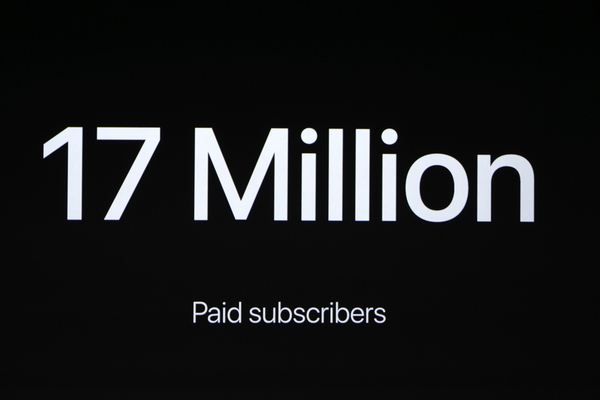 Now over 17M subscribers on Apple Music. Apple Music...remember, the revamped design has been in iOS 10 beta already.